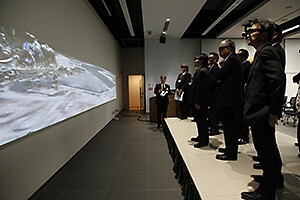 We held discussion tours of our facilities for all participants at the conference. Participants on the tour further enriched their experience, by learning more about the collaborative initiatives undertaken by the university to aid the reconstruction of Tohoku. ＊ Study tours are open only to participants of WCDRR. Following the Great East Japan Earthquake, the vulnerability of our information communication technology -ICT-, which could be seen in the disruption of communication lines, the failure of information gathering, and the insufficiency of information, was revealed, exposing issues that need to be addressed. In response to these issues, Tohoku University established the Research Organization of Electrical Communication -ROEC-. It aims for development of disaster-resistant information communication network in the world. 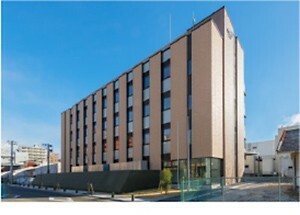 MaSC is a cooperative base for materials researches between Tohoku University , its three Institutes for materials researches and business world to strengthen Japan’s competitive international power and the business reconstruction of the Tohoku area after the earthquake and tsunamis. The reserach themes are taｒgeted on leading new-functional materials of Social Infrastructure area, Electronics area and Energy area. We will introduce you outstanding ｒeseraches among them. This simulation center open to the community was launched with support from the government and Miyagi Prefecture in June 2012, 15 months after the great earthquake to accelerate the restoration of health care systems in devastated areas. The facility provides both an opportunity to learn clinical skills using various medical simulators and team-based training to achieve clinical risk management. Tohoku University Tohoku Medical Megabank Organization was founded to lead the Great East Japan Earthquake reconstruction efforts through the development of advanced medical system. 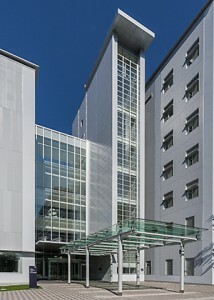 The building for Tohoku Medical Megabank which was completed in 2014, is equipped with up-to-date facilities such as biological sample storage system, super computer system, sequence analyzing system, Sendai Community Support Center. This collection includes about 3,600 items, to recordｓ of the Great East Japan Earthquake. And this collection consists of books, magazines, newspapers, posters, maps, many reports and audio-visual materials. Based on experiences of the 2011 earthquake, International Research Institute of Disaster Science (IRIDeS) was established to prepare for disasters of low frequency and high consequences. This tour introduces disaster-related researches using cutting edge technologies such as Integrated Multi-dimensional Visualization System for Information about Disaster Science (IMIDeS) and Mixed Reality System, as a hub of international disaster research field. 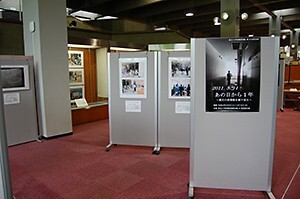 Our tour introduces damage situation and resucue activity of public communities at the Tohoku earthquake disaster using exhibition panels and 3D- digital images. We also exhibit tsunami deposits, researches of earthquake and tsunami, and story of Matsushima’s revitalization. 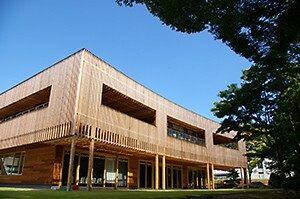 To apply the lessons of 2011 Tohoku earthquake, we Graduate school of environmental studies has installed the new power supply system on the school building. This system consists of photovoltaic generator and electric vehicle, enables us to use energy even in the time of emergency. In the tour, we will introduce our system with demonstration. Introduce the advanced research topics related on reconstruction and disaster prevention of School of Engineering using movie and posters. Introduce Tohoku University – Qatar Science Campus (QSC) since 2014 July using movie. Introduce equipment of the QSC hall that was renovated for sustainable life, such as Panolama Projection system, Indoor plant system, Solar valay, and Qatar garden.